Reusing and recycling materials and goods is always a good thing, especially when it looks really well. 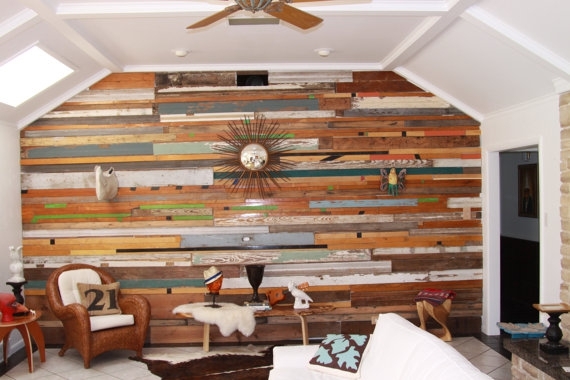 Take for instance the ever-so-popular reclaimed wood trend. Except for now what we’re starting to see a whole lot of is the painted reclaimed wood flooring or even reclaimed wood that has been stained and then being applied to its designated spot. This is an excellent trend that we believe is here to stay. 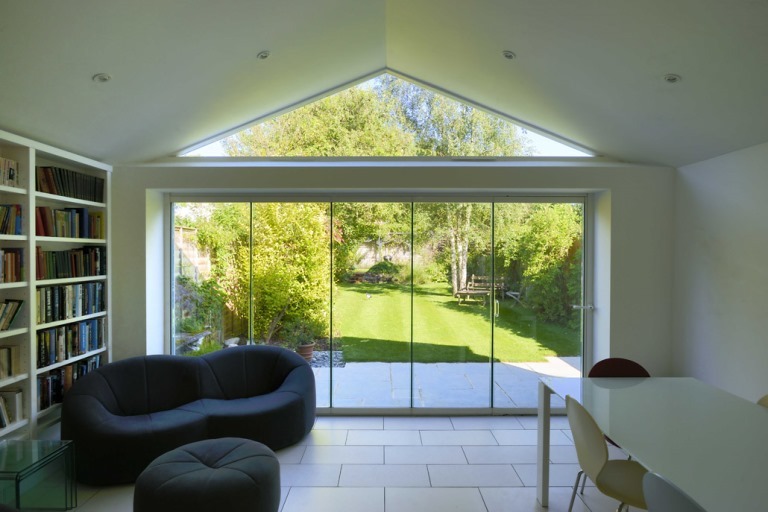 It is a style of décor that has appeared in the homes of many ways before it really became a trend, and it of course is promoting sustainable living, which really we should all get on board with even just a little bit. It is a very inexpensive way of decorating and makes such a huge impact. You can pick up the wood at timber yards, construction sites, even at antique fairs. 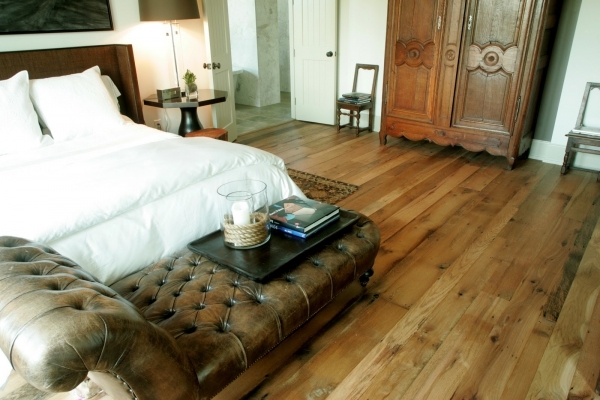 The supply is extremely abundant and rather easy to get to, you could seriously do your whole house in painted reclaimed wood flooring. Do keep in mind, though, that some wood pieces may require treatment or care before you actually go ahead and paint and apply them. 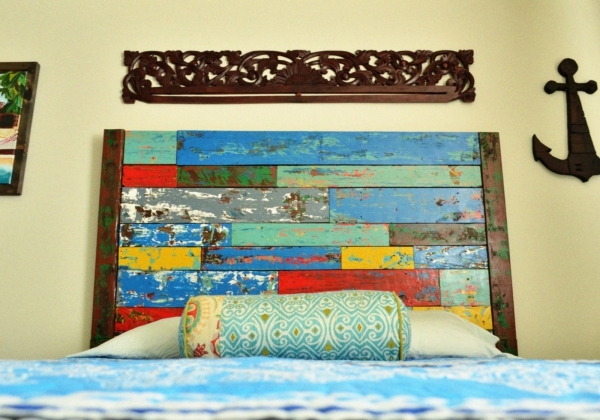 The options you have in decorating with painted reclaimed wood are seriously endless. You can go for an accent wall made up of panels, you can build your own headboard or canopy for your bed, you can restructure your closet doors with pieces of it, construct your kitchen cabinets with the wood, and of course create a beautiful painted reclaimed wood flooring design. Painting them different colors and placing them together can create an adorable patch-like look, which we have seen is becoming quite popular. So give this trendy home décor a try. It will be more on the cheap side for you to do, and chances are high that you will absolutely love how it comes out. 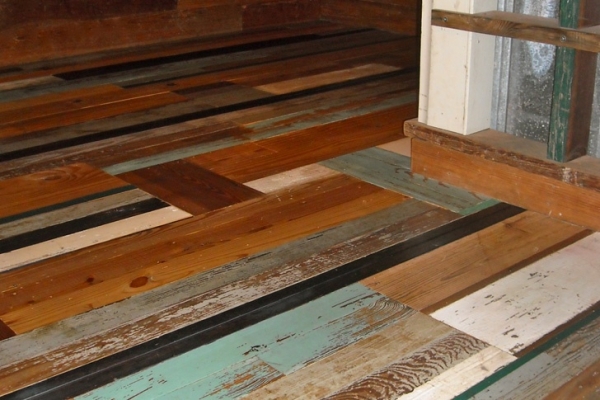 If you’re an experienced DIYer and would like to make your own reclaimed wood floor, first read how to work with reclaimed wood on eHow and how to install reclaimed hardwood flooring on DIY network.